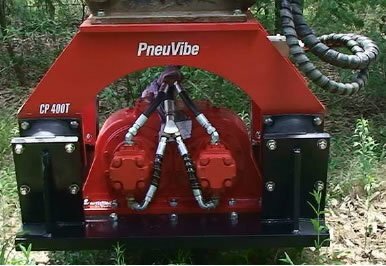 PneuVibe’s series of boom mounted compactor plates offer models suitable for a wide range of applications, from working in narrow trenches to large backfill operations and provide the most efficient means for vertical and inclined compaction. 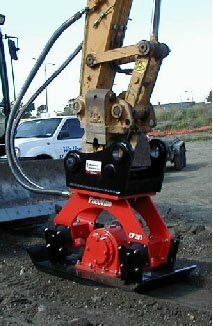 Whether you own a small backhoe or a large crawler excavator, it is simple to connect a PneuVibe compactor plate to your machine’s existing hydraulics or even easier if you have existing hydraulic hammer piping. Simple to operate. 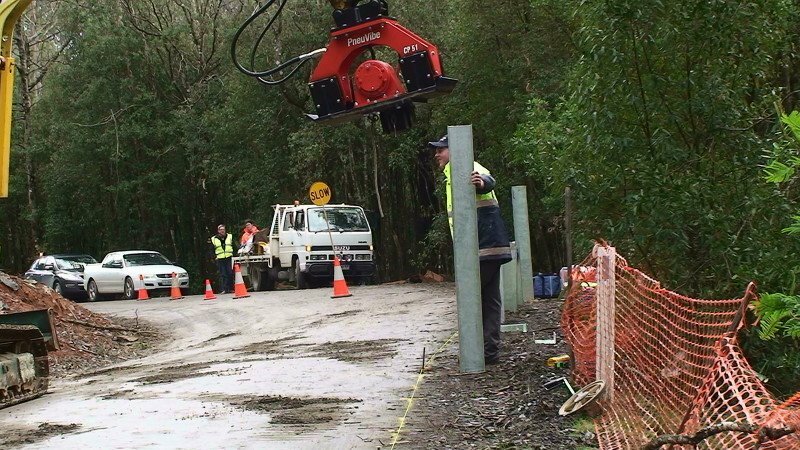 As the vibration produced by rotating the eccentric combined with the downwards pressure of the carrier generates impulse force to be placed wherever your boom will reach. This enables you to compact most soil types to required density levels in efficient lift capacities. 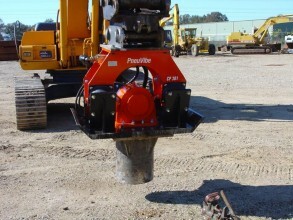 Effectively combines sheet and pile driving with PneuVibe attachments. 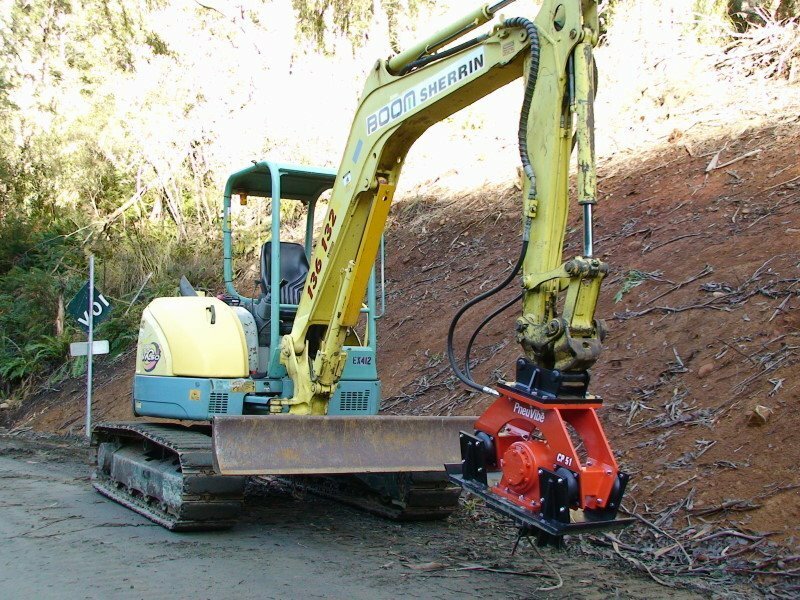 Rubber vibration mounts are angled to the base, so that the pressure exerted by the boom on the top plate causes the mounts to convert from a shear to a compression mode (Patented System).The system ensures increased elastomer life and minimises vibration transmitted to the boom, thus reducing wear on the pins and bushes of the excavator. The hydraulic motor and hoses are positioned within the protective cradle to prevent them being snagged or damaged on trench walls. The hydraulic hoses are covered with an anti abrasion wrap for maximum flexibility and durability. Engineered for easy, direct attachment to existing hydraulic hammer mounting heads. 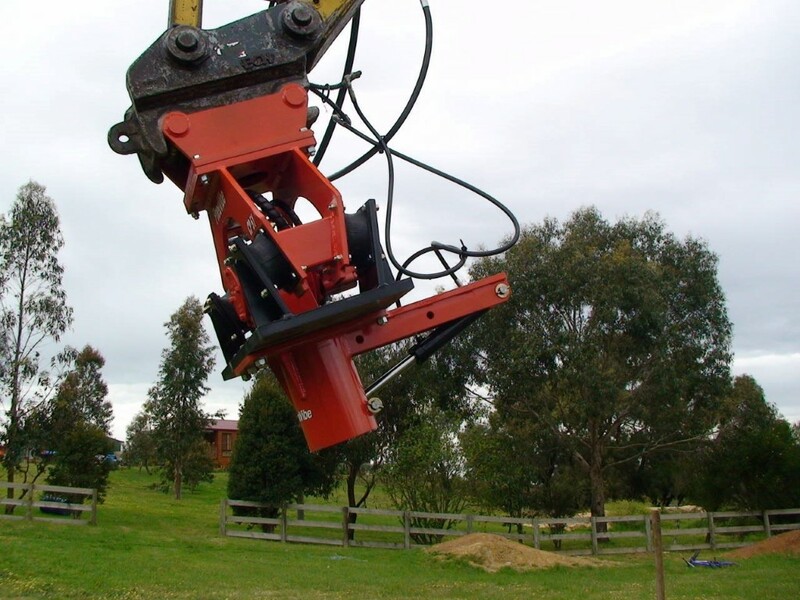 This time saving system is ideal for use with quick hitch arrangements. A multi setting, 360º swivel head attachment is also available. Built-in priority valve system monitors the oil flow, providing the correct volume to obtain maximum performance by the compaction plate and avoiding damage to the hydraulic motor due to excessive flow.